MANHATTAN A federal judge has proposed new congressional lines that would keep Rep. Charlie Rangel‘s district anchored in Harlem but shift the historically black district to become even more Latino. The proposed map, released Tuesday, comes after state legislators failed to reach a deal on how to recarve the state following the once-in-a-decade census count, which cut two of New York’s congressional seats. While many had speculated that Rangels district would be pushed north into Westchester and the Bronx, the new proposed map would keep the long-time incumbent in Harlem. 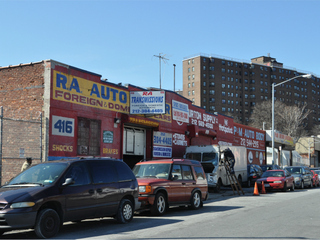 Under the reconfiguration, Rangels new 13th District would include Washington Heights and Inwood and more of the southern Bronx. It would become 55 percent Hispanic, 12 percent non-Hispanic white and 27 percent non-Hispanic black, according to numbers released with the maps by the U.S. District Court for the Eastern District of New York. 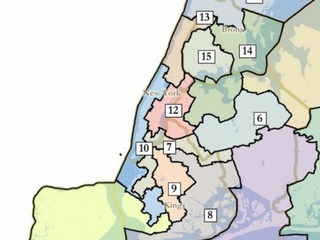 Today, Rangels 15th Congressional District which includes a larger section of the Upper West Side and a sliver of northwest Queens is 46 percent Latino, 26 percent black and 21 percent white, the latest census data show. That’s an 18 percent drop in the black population and a 75 percent jump in the white population from a decade ago. HARLEM A group pushing for a Dominican Congressional district that would encompass parts of Washington Heights, Inwood, the Bronx and Queens filed a legal challenge Wednesday to newly proposed congressional lines. But the plan doesn’t do enough to link people of “like interests” said Maria Teresa Feliciano, president of the Dominican American National Roundtable. “The maps proposed by the court would totally ignore the fundamentals of redistricting which is keeping communities of interest together to elect a candiate of their choice,” Feliciano said. HARLEM West Harlem has started planning how to spend $150 million in funds expected from Columbia University’s community benefit agreement. Community Board 9 has formed a committee to come up with solid ideas about how the money can be used to improve the lives of area residents. 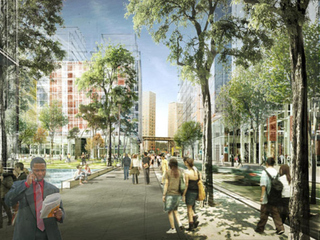 “We hope when people are ready to distribute money we have a plan for it,” said CB 9 chair Rev. Georgette Morgan-Thomas. The committee is going to examine the community benefits agreement and create detailed plans and proposals on how the money can be spent based on the priorities of the board. “The CBA lays out a broad and specific plan,” said Morgan-Thomas. MANHATTAN Police are hunting a scar-faced suspect wanted for critically injuring a 20-year-old man during a shooting in Harlem last month. 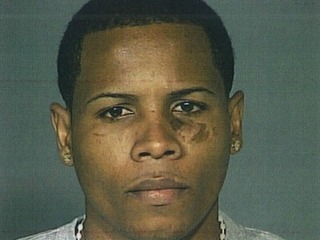 Andre Ramirez, 26, is being sought by cops for shooting the man once in the stomach outside 3421 Broadway, near West 139th Street, about 9:15 p.m. On Feb. 10, 2012, NYPD officials said. The victim remains in critical condition at St. Lukes-Roosevelt Hospital, police said. at Bell Funeral Home, 536 Sterling Place, Brooklyn. Funeral will be on Monday, March 12th at same place at 10 am. which is about 20 minutes from funeral parlor. 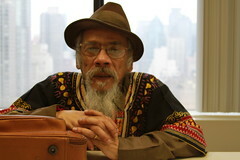 The repast will take place at Sista’s Place, 456 Nostrand Avenue, Brooklyn, right after the burial at the cemetery. That is Louis’ home away from home where he conducted his workshops and also performed with many of his groups over the years.